Events closer in time have a greater influence on your happiness. Happiness can only be measured in a relative manner, by comparing degrees of happiness at different times and in relation to different events. 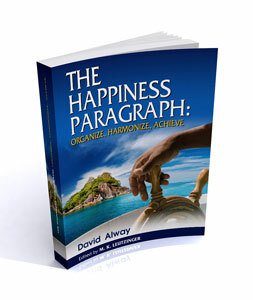 Happiness is in part maximized by avoiding major goal conflicts and by pursuing goal harmony when possible. Happiness can fade and so it requires new experiences/goal achievements in order to be maximized. You cannot easily control whom you will meet in life or the coarse of close personal relationships. Various virtues (Moral Ambition, Rationality, Independence, Honesty, Justice, Integrity, Productiveness) can help you achieve happiness in the long term. A discussion of how to start using the book.